Vulcan game of intricate strategy. 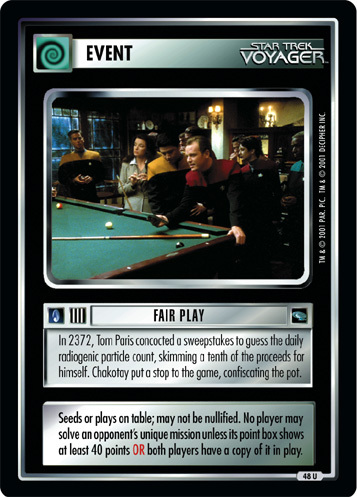 Players must find the seeds of order, even in the midst of profound chaos. 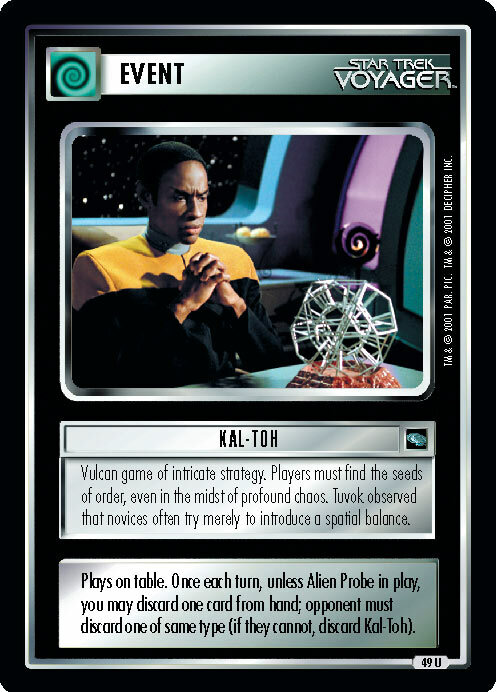 Tuvok observed that novices often try merely to introduce a spatial balance. Plays on table. 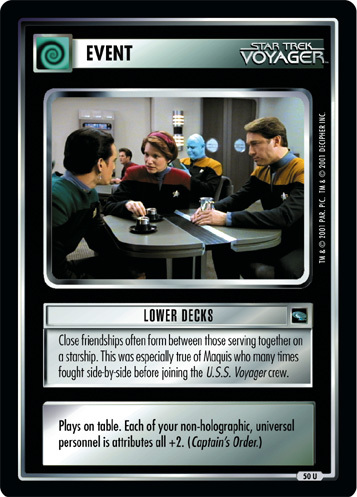 Once each turn, unless Alien Probe in play, you may discard one card from hand; opponent must discard one of same type (if they cannot, discard Kal-Toh).